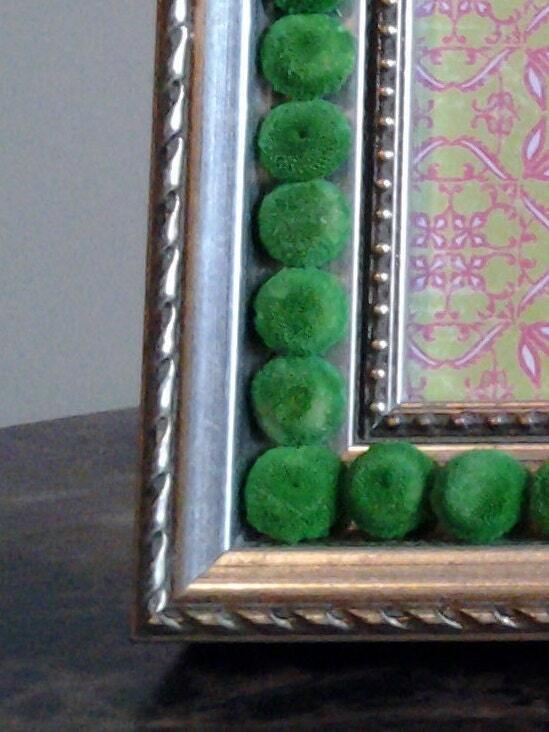 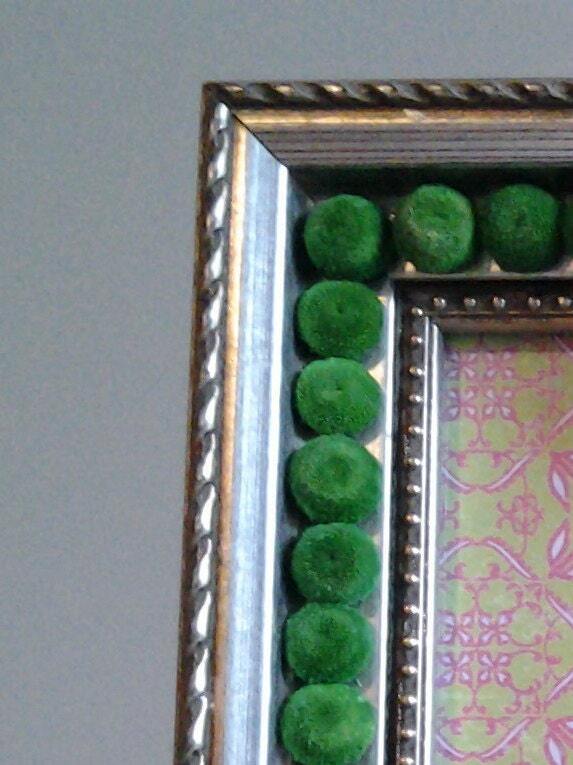 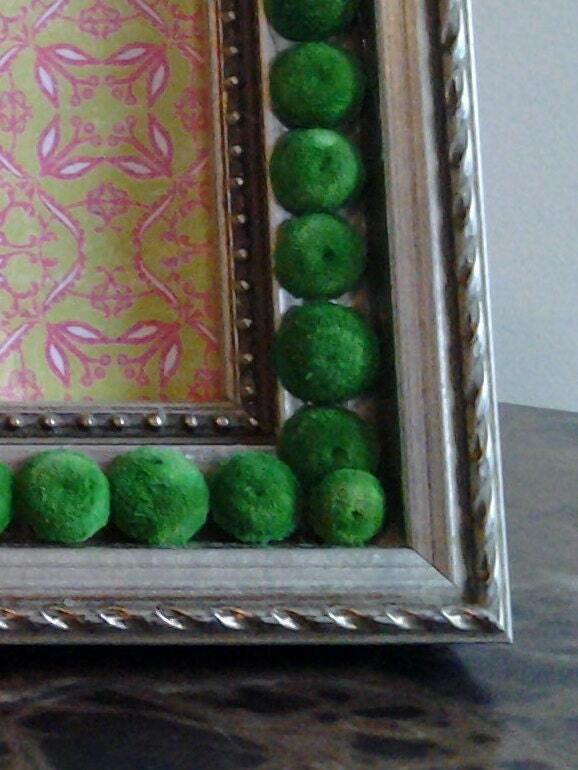 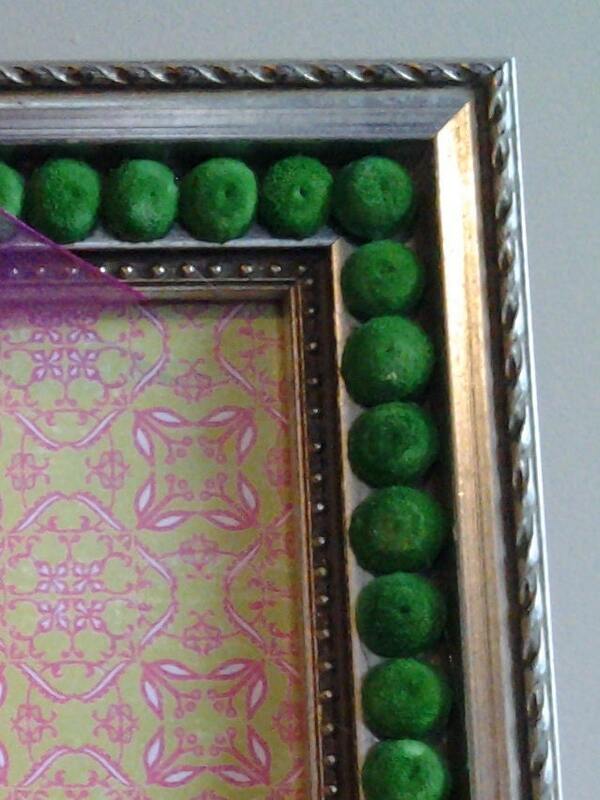 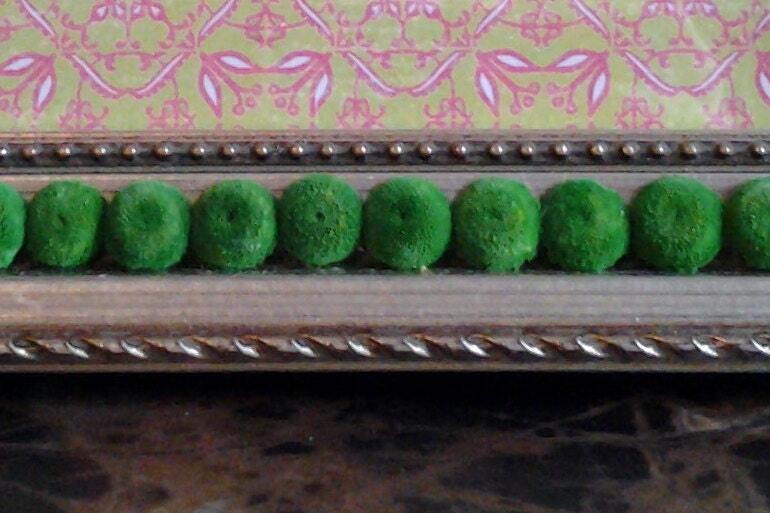 Pewter finished ornate picture frame embellished with dried green floral buttons and finished with a sheer hot pink bow. 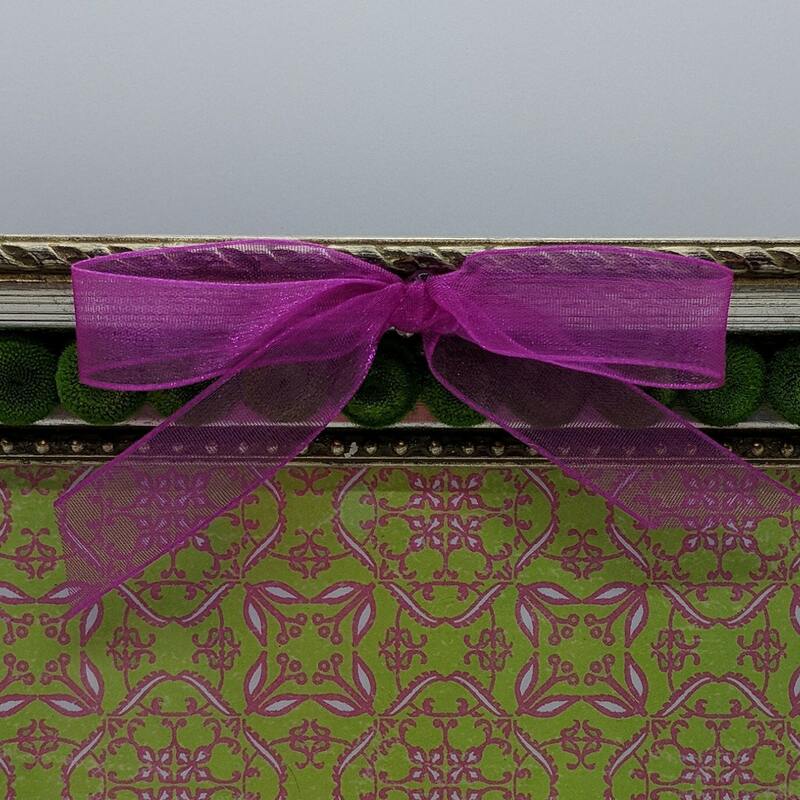 Add your favorite photo or give as a gift. 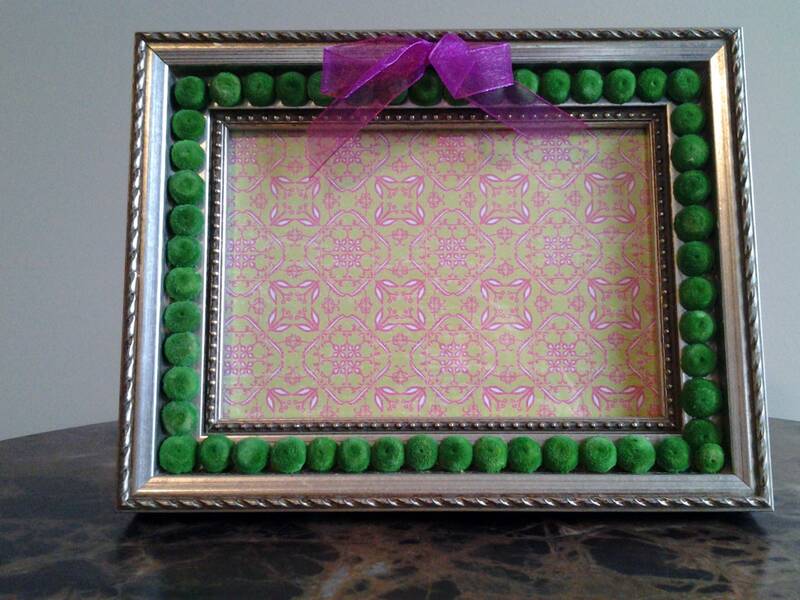 Finished size 9 x 7 x 1.5"